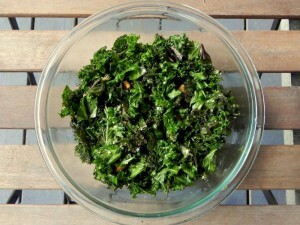 Massaging raw kale with a slightly acidic dressing helps tenderize this somewhat tough green so it can be eaten raw. This light salad is great for warm days and it packs a ton of nutrition. Using a fork or whisk, mix together the olive oil and balsamic vinegar. Combine the remaining ingredients along with the dressing in a large bowl. 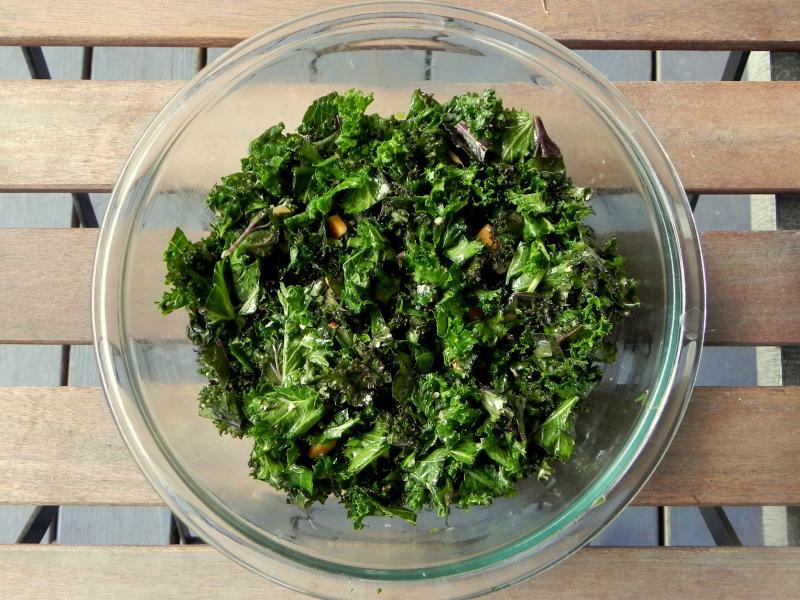 Mix and massage with clean hands until the kale is nice and tender, about 3-4 minutes.